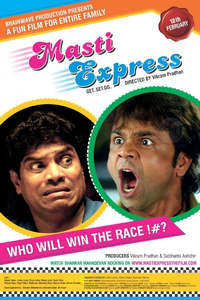 Review Summary: MASTI EXPRESS falls short of expectations. Besides the film has arrived with zilch hype and that will make the effort go disregarded. Rajpal Yadav may be an auto rickshaw driver but he has a dream. He wants to send his son to the upmarket school where he ferries kids every morning. MASTI EXPRESS falls short of expectations. Besides the film has arrived with zilch hype and that will make the effort go disregarded.